ELCA Presiding Bishop Mark. 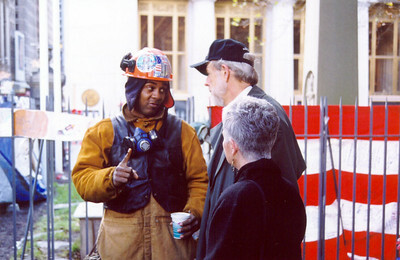 S. Hanson, center, talks with Eddie, a man who has been working at the New Yorks World Trade Center site. With them is Bishop Hansons wife, Ione. 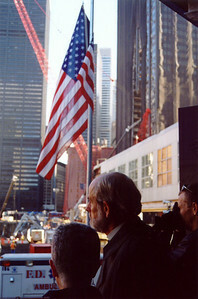 ELCA Presiding Bishop Hanson and Ione Hanson view round-the-clock efforts by work crews to search for human remains and clear debris at the World Trade Center site. Remains of World Trade Center buildings destroyed in the Sept. 11 terrorist attacks draw onlookers to lower Manhattan. 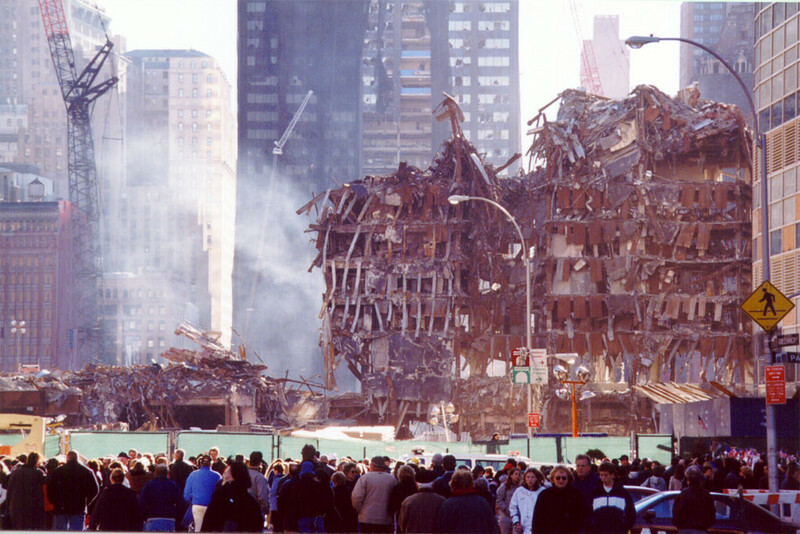 Work crews have removed much of the above-ground debris at the site. 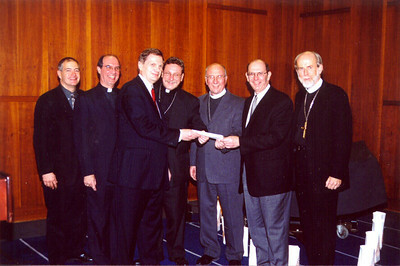 John Gilbert, president and chief executive officer, Aid Association for Lutherans, third from left, and Bruce Nicholson, president and chief executive officer, Lutheran Brotherhood, sixth from left, provided checks from their members and companies to help meet the costs of the Lutheran response effort in New York related to Sept. 11. With them, from left, are John J. Scibilia, Lutheran Disaster Response (LDR), New York; the Rev. 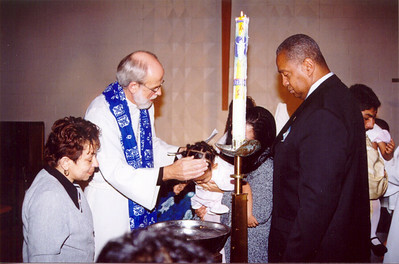 Gilbert B. Furst, LDR director; the Rev. Stephen P. Bouman, bishop, ELCA Metropolitan New York Synod; the Rev. David H. Benke, president, LCMS Atlantic District; and ELCA Presiding Bishop Hanson. ELCA Presiding Bishop Hanson, second from left, baptized 32 people Dec. 16, at Transfiguration Lutheran Church, Bronx, N.Y., during his visit to the New York. 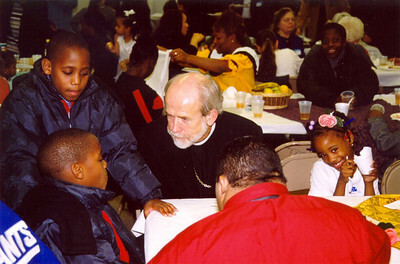 Presiding Bishop Hanson, center, converses with young people at Transfiguration Lutheran Church Dec. 16.